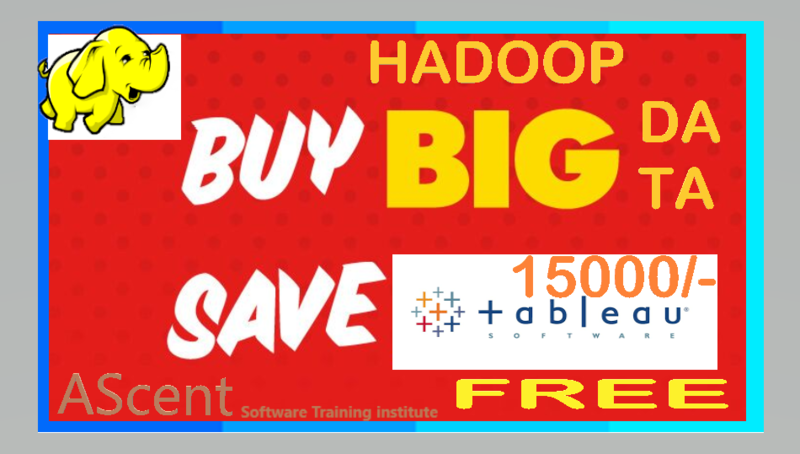 Ascent Software Training Institute Provides you free [TABLEAU] Course Worth of 15000/- For Free. Just Pay for [hadoop bigdata] course. Hurry up. Offer valid till March 1st. Ascent [BIG DATA & HADOOP] and [TABLEAU] Training Institute Providing high quality training at affordable fees is our core value. We offers classroom on niche technologies which are in high demand. All our trainers are IT professionals with rich experience. We work with our students in developing the right skills they need to build their career in present competitive environment. We have flexible batch times to suit the timings of graduating students and working professionals.